. . . Although the entire continent had been affected by the plagues that spread from nation to nation after the arrival of European pirates in 1492, until 1813, encroachment inland had been relatively minimal. But that year, Yuhaviatam (aka Serrano) supported Tongva relations in a raid on the San Gabriel Mission and were thereafter pursued into the mountains, where Spanish soldiers killed several warriors and took some prisoners. Update: At the 2018 Women's March, held on January 20, the Tongva, including Gloria Arellanes, began the proceedings with a ceremony. There was subsequent references to the Tongva and honoring native lands during the rally. Also, there was an Indigenous presence in the post-march area near City Hall., Among the issues being emphasized was #FreeRedFawn. Red Fawn was a medic at Standing Rock, who was attacked and arrested in the fall 2016. She remains in federal prison with no chance for bail, and faces as much as 10 years in prison. More here: http://indi.com/freeredfawn. The actress-activist celebrated her birthday by joining #BankExit. Fonda's plan was to divest publicly, but Wells Fargo locked its doors. She pointed out the role divestment made against Apartheid South Africa. Also present was Lily Tomlin, who'd already divested; Frances Fisher; Catherine Keener; Mike Farrell; Dolores Huerta; and a crowd estimated to be in the hundreds. 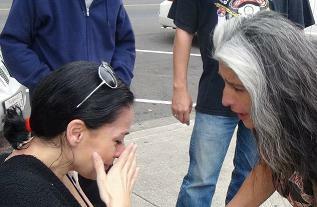 At one point a round dance took place in the busy intersection of Sunset & Vine, paralyzing traffic for several minutes. 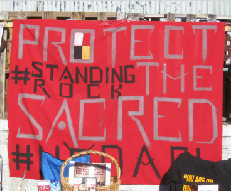 Also: Interview with four Indigenous people on Standing Rock, N.D. and the Standing Rocks all over: IndyMedia on Air | And: Winona LaDuke on the Ralph Nader Radio Hour (first half of show). She says we may not need to remain on red alert but should certainly be on orange alert. Also, she wonders if these pipelines are meant to expedite U.S. avoidance of purchasing Venezuelan oil. 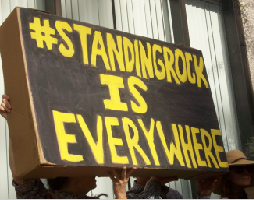 Another local action: Standing Rock Solidarity Action by X. Community groups picket Safariland--a manufacturer of police weapons in Ontario, California. 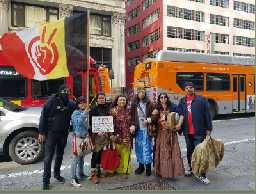 INGLEWOOD - In a day-long event, members of the Southern California chapter of the American Indian Movement, along with other members of the Native community and social justice activists, called for clemency for AIM activist Leonard Peltier, imprisoned since 1977 on trumped-up charges. The day featured speeches from well-known figures from the movement in defense of indigenous rights, including Danny Blackgoat, George Funmaker, and Shannon Rivers, as well as musical performances from Kill the Bullfighter and Aztlan Underground and poetic performances from Julio Rodriguez and Matt Sedillo. And no event led by the spiritual activists of AIM would be complete without drums and prayer. More: The Lawyer's Guild (June 24, 2016) Attorney and Peltier supporter Cynthia Dunne discusses the case and action we can take. Her portion starts at about five minutes into the show. This program is only available for 90 days. 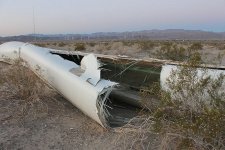 In 2012, wind generators were built in Ocotillo Valley in southern California, an area long known to the Quechan as the Valley of the Dead because of ancestors traveling through en route to the next world. 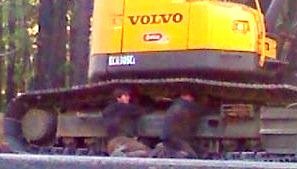 The installation of wind turbines, over the objection of the Quechan and other tribes (as well as non-Native residents), has desecrated sacred sites; disrupted, and even killed, wildlife and vegetation; and oil from the machines has been dripping into the ground. And the generators seem to be doing little, if anything, to provide alternative energy. There is only enough wind in Ocotillo to keep them active four to five months a year. And when the energy is transported long distances (in this case to San Diego), as much as half gets spent in transmission. Furthermore, turbines require conventional grid energy for their initial start-up and to operate computers inside, which must also be cooled with fans in hot weather. Much grid energy is also used in maintaining them--and they've required maintenance. One lost a Siemens propeller just over a year after activation (pictured above). Eight months later, another caught on fire. May 1 was a day of international solidarity for Australian Aborigines, many whom are in danger of being driven off their ancestral lands and out of communities. Recent months have seen heightened activism in Australia concerning this issue. Prime Minister Tony Abbott, who's dismissed ancient Indigenous ways as "a lifestyle choice," has expressed concern over the expense of providing electricity and water to Aboriginal communities. Over 85 demonstrations were held across Australia on Friday. Also participating were people in London; Hong Kong; Paris (with involvement of Idle No More, France); New Zealand; Finland; New York; and Los Angeles. In Los Angeles, a rally was held at Echo Park Lake. More than 25 people attended in the middle of the day. Some passersby and people already sitting on the grass took interest in the speakers. Columbus Day has been suffering setbacks of late. Minneapolis; Berkeley, California; and most recently Seattle now observe Indigenous People's Day instead. San Francisco has Italian Heritage Day; Hawaii, Discoverers Day (i.e., the discovery of the islands by Polynesians); and South Dakota, Native American Day. Venezuela dropped Columbus Day in 2002 in favor of Day of Indigenous Resistance. Mexico, El Salvador, Argentina, and other countries celebrate Dia de la Raza. While Columbus Day's still recognized here in Southern California, a new annual protest occurs in downtown L.A. While en route to the ornate Cathedral of Los Angeles, we got a clear view of it with a homeless camp in the foreground. Well over 30 protesters lined the sidewalk across the street from the church with signs. Several horrific and barbaric deeds of Columbus and other pious Europeans were mentioned via megaphone as patrons, including a large group of teenagers, exited the church and stood in front. Huntington Beach: The sacred site of Bolsa Chica (aka: Puvungna East)--or rather, what's left of it--is again in serious jeopardy. The 9,000+ year-old burial site will be the subject of a hearing on January 8, 2014. A developer is seeking to have it rezoned from Open Space to low-density Residential. 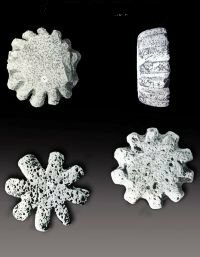 Bolsa Chica is known for, among other things, its ancient cogged stones (found nowhere else in the world except Chile). The area has already been developed extensively, with 174+ ancestors and thousands of ceremonial objects and other items removed. The Coastal Commission hearing will be in San Diego at 9am; however, free bus rides from Huntington Beach will be provided to those who RSVP. Supporters are also encouraged to write to the Coastal Commission. 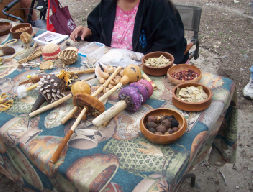 See the Bolsa Chica Land Trust for more historic and environmental information. 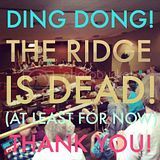 Update: From the Bolsa Chica Land Trust: SAVE THE DATE: Very possible Coastal Commission hearing June 11th -- 13th at HB City Hall concerning Ridge LCPA. We need your help and support in this very pressing issue! If you can attend in person, write in, or even just share this with your friends to get the word out, that would be great! We will continue to post more information as it becomes available. Another Update: From the Bolsa Chica Land Trust The city (at the applicant's request) withdrew the application meaning that whatever happens on The Ridge or Goodell sites in the future will have to be reapproved by the city - this now gives us a chance to work with the landowners to purchase these sites and save them - still a long ways to go but today we can declare VICTORY! The Indigenous movement, Idle No More, now several months old, has been ignored by the mainstream media. On Friday March 15, over 50 people stood in front of CNN, drawing attention to this. The event lasted four hours and coincided with rush hour. With traffic often at a standstill, we literally had a captive audience who had time to read our signs and take flyers. Initially, CNN said they would come out, take pictures, and interview some of us about our concerns, but we were ignored (except when they didn't want us too close to the entrance). One of the several speakers said the media doesn't want to cover the movement "because we are waking up. 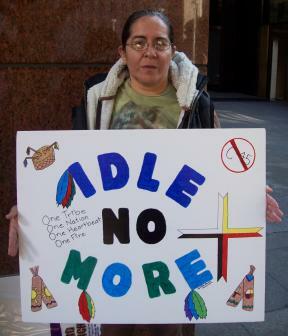 We're waking up, and this is just the beginning of Idle No More." In Canada, a budget bill (C-45) supported by Prime Minister Stephen Harper and other conservative lawmakers, would unilaterally alter treaties with First Nations people, drastically affect lands and waterways on both sides of the U.S.-Canada border, and reduce jobs for all Canadians. This alarming development has caused unrest across the country. Chief Theresa Spence of the Attawapiskat is in her 18th day of a hunger strike (as of Friday December 28), which she says will last until she can speak with Prime Minister Harper and Canada's Governor General (who represents the English Crown) about the aforementioned treaty violations. She is prepared to die if her demands are not met. Meanwhile, Indigenous teach-ins and demonstrations--including flash mobs in shopping malls and blocking of highways--have been occurring throughout the nation. Solidarity events and awareness-building have been occurring in the U.S. and in countries further to the south. Australian Aborigines have also expressed solidarity. 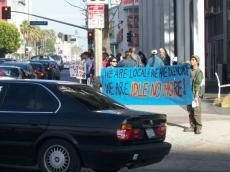 In Los Angeles, a weekly rally has been underway outside the Canadian consulate at 550 South Hope Street in downtown. 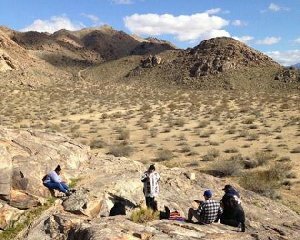 On December 28, approximately 50 people turned out in the middle of a weekday. Natives from several areas were present (or represented), including the Owens Valley, Morongo, and Yangna (Los Angeles). A common sentiment expressed by speakers was, "if we won't do it, who will?" Over a year ago, he knew he had inoperable esophageal cancer. It spread to his tongue, lymph nodes and lungs. It was just a matter of time. On October 22, it took him. His journey to the spirit world began.
. . . In 1968, he joined the American Indian Movement (AIM). 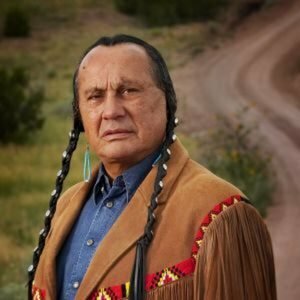 In 1970, he became its national director.
. . . With Dennis Banks and Leonard Peltier, he participated in the 1973 Wounded Knee siege and tragedy. For 71 days, they and other AIM activists held off hundreds off FBI thugs, federal marshals, National Guard troops, and complicit Indian vigilantes. They were called "GOONS (Guardians of Our Oglala Nation)." They sold out for whatever benefits they got in return.
. . . Means once said, "Every policy now the Palestinians are enduring was practiced on the American Indians. What the American Indian Movement says is that the American Indians are the Palestinians of the United States, and the Palestinians are the American Indians of Europe." 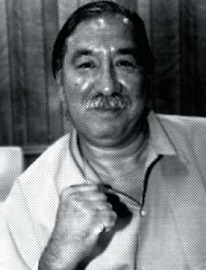 He called Indian lands open air concentration camps, saying: "If you chose to stay on the reservation, you are guaranteed to be poor, unless you are part of the colonial apparatus set up by the Bureau of Indian Affairs, set up the United States."
. . . On December 17, 2007, Means and other Lakota people went to Washington. They declared independence. They called it "the latest step in the longest running legal battle" in history. It's not a cessation, they said. It's a lawful "unilateral withdrawal" from treaty obligations permitted under the 1969 Vienna Convention on the Law of Treaties. Means said: "We are no longer citizens of the United States of America and all those who live in the five-state area that encompasses our country are free to join us." "We offer citizenship to anyone provided they renounce their US citizenship." "United States colonial rule is at an end." . . . On September 29, 2012 Means reiterated what he and others declared in December 2007. . . . Means had three weeks to live. From Arizona IndyMedia (6/16/2011): From the press release: Today we take direct action to stop further desecration and destruction of the Holy San Francisco Peaks. We stand with our ancestors, with allies and with those who also choose to embrace diverse tactics to safeguard Indigenous People's cultural survival, our community's health, and this sensitive mountain ecosystem. On May 25th 2011, sanctioned by the US Forest Service, owners of Arizona Snowbowl began further destruction and desecration of the Holy San Francisco Peaks. Snowbowl's hired work crews have laid over a mile and a half of the planned 14.8 mile wastewater pipeline. They have cut a six foot wide and six foot deep gash into the Holy Mountain. Although a current legal battle is under appeal, Snowbowl owners have chosen to undermine judicial process by rushing to construct the pipeline. Not only do they disregard culture, environment, and our children's health, they have proven that they are criminals beyond reproach. Four weeks of desecration has already occurred. Too much has already been taken. Today, tomorrow and for a healthy future, we say "enough!"